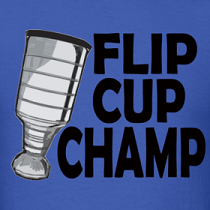 So do we golf first, then talk hockey? Strangely enough, Air Canada lost Gary Bettman's luggage - forcing him to wear airport Hawaiian shirts for the trip. Red Wings GM, Ken Holland, was seen eating at Pizza Hut - he may be in trouble when he's back in Detroit. 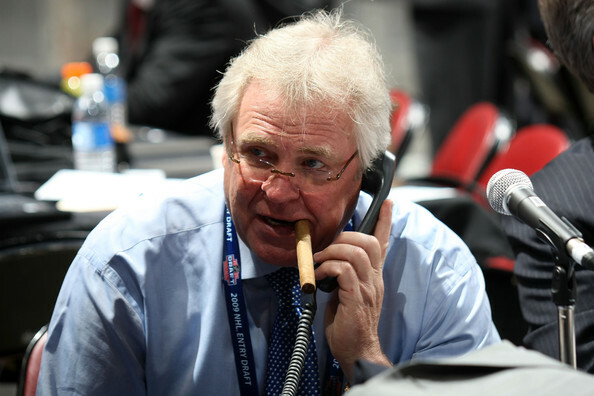 Rangers GM, Glen Sather, missed the first day of the meetings as he drove to Miami to find some freshly rolled Cubans. Darryl Sutter showed up, it was really awkward. While relaxing on the beach with his family, Florida GM, Dale Tallon, built an amazing sandcastle that everyone was in awe of. When Tallon left for lunch, Stan Bowman showed up with his family - who entered it in a sandcastle-building contest and won. Bruins GM, Peter Chiarelli, was caught whispering to Brian Burke "I guess we're even now." Out for dinner one night, Lou Lamoriello overpays for a steak dinner. After a few bites, he attempts to bury it under the table. Throughout the meetings, the frugal Nashville Predators GM, David Poile, skips out on all the bills - Glen Sather is heard calling him a "cheap prick." 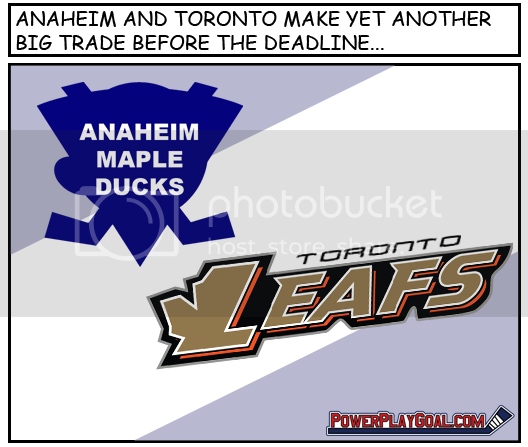 Leafs GM, Brian Burke and Ducks GM, Bob Murray, trade seats several times during the meetings, causing great confusion among the other GMs. Sabres GM, Darcy Regehr, drove down with their new owner, Terry Pegula. Pegula is so happy to be home in Boca Raton, he cries. He promised Darcy he wouldn't do this. Evgeni Nabokov showed up and berated Garth Snow in front of all the GMs, finally leaving after smashing a bottle of vodka and high-fiving Ken Holland. 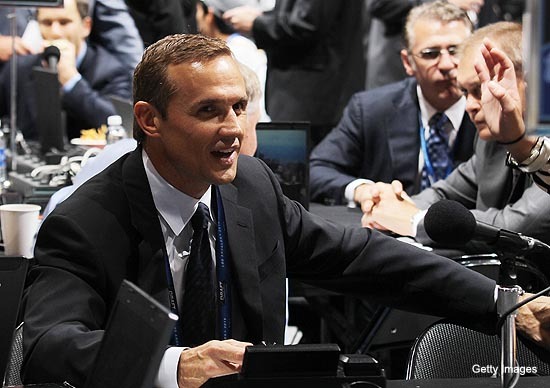 Joe Nieuwendyk is heard asking Steve Yzerman about how to get into the Hockey Hall of Fame. Due to poor planning, there is a shortage of seats at the tables, forcing Coyotes GM, Don Maloney, to stand for most of the discussions. 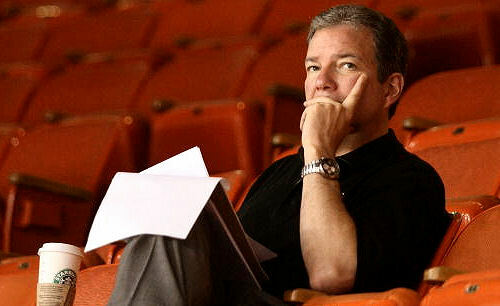 Penguins GM, Ray Shero, doesn't just rate his players after every game, he rates resorts as well. He gave the hotel a 3, the conference room a 1, and the beach a 3.5 - you can find Shero's ratings on TripAdvsior. All the GMs continue to applaud Blue Jackets GM, Scott Howson, for his contract extension of Rick Nash in 2009 and want to know how he managed to get Nash to stay in Columbus - then they ask if he's available. 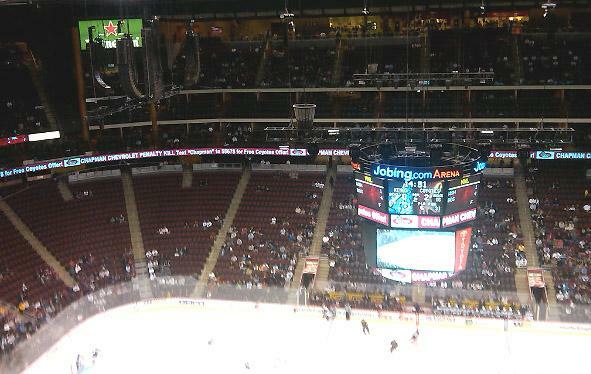 I wonder what Nabokov is doing now. Should have just went and played for the Islanders.